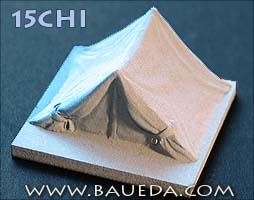 15mm Chinese tent AVAILABLE NOW! 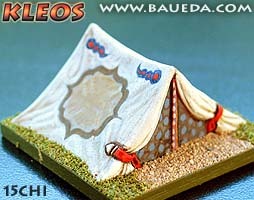 This Chinese tent is based on a Wei-Jin original painting. It is designed to be used as a baggage element for any Chinese army and to fit on a standard 40x40mm DBM baggage base. Sources are extremely limited but suggest it is suitable for most Chinese armies of the ancient period, at least up to the Yuan dynasty. 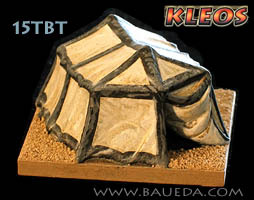 It is certainly a very functional and simple type of tent the use of which was probably quite widespread, and sources tend to represent large camps with a considerable number of small tents of this kind arranged around a cantral focus point. 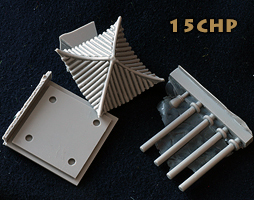 15CHI is available in three finish: simple plain cast, as it comes out of the mold; cleaned and primed, based and ready to paint; or as a finished DBM baggage element, painted, based and flocked to the very same standard you see in the picture! 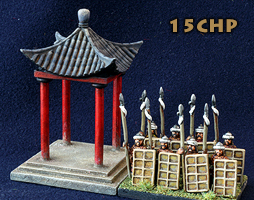 15mm Chinese pavilion AVAILABLE NOW! 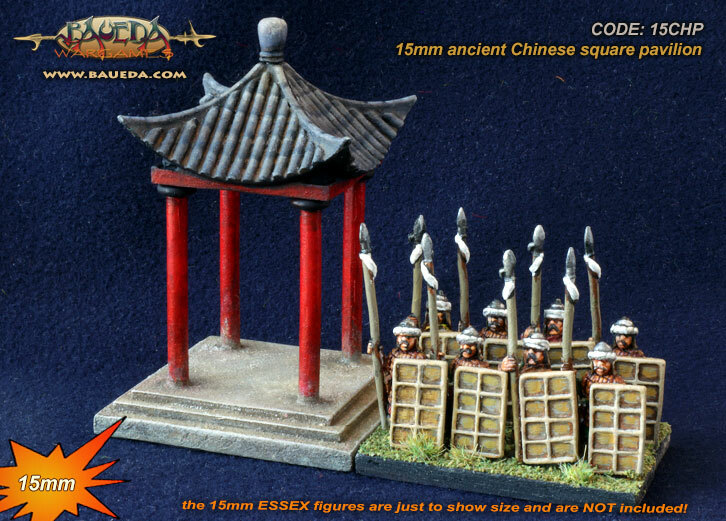 This 15mm ancient Chinese square pavilion is based on several surviving examples, depictions and models. It is designed to be used as a baggage element for any Chinese army and to fit on a standard 40x40mm DBM baggage base. Traditionally Chinese pavilions are small covered structure with little or no walls, that were initially erected at roadside in the Warring States era more than 2,200 years ago as shelters for soldiers. After China was reunited under the Qin, a unified postal system was established, and roadside pavilions were used for the government postmen on horseback as relay stations. They also provided travelers with a place to take a rest in long journey and a shelter during the rain. Like all other models in this range it is made of tough POLYURETHANE; It comes in a easy to assemble kit: the base and the roof size are approximately 36mm square, the roof itself is 20mm high without the separate top cap. The columns max height is 35mm but can be easily trimmed down at will. 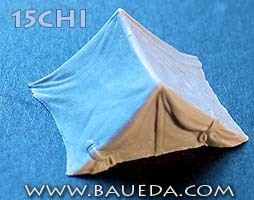 15mm Tibetan Maikhan Tents AVAILABLE NOW! The roof of the Maikhan was supported by two upright poles, stabilized with guy ropes at each end. The guy ropes, made of yak hair, were adorned with prayer flags. More side ropes were connected to the junction where the roof meets the walls, which pulled them out and held the roof taut. The walls were further drawn out at the base and were staked to the ground, creating a sloped silhouette which stood up well to high wind. 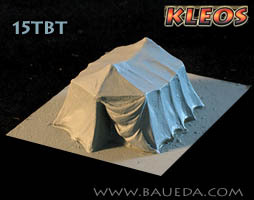 The largest of these tents were large enough for several people to stand in, made of thick felt and whitened with a coat of lime, as a white tent was a symbol of great wealth. Strips of black cloth were sawn to the seams, doorways and at the bottom edge, probably to act as reinforcement at the stress areas. 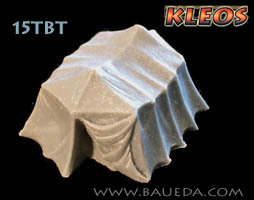 15TBT is available in three finish: simple plain cast, as it comes out of the mold; cleaned and primed, based and ready to paint; or as a finished DBM baggage element, painted, based and flocked to the very same standard you see in the picture!